The new European soccer season has only just begun and we’ve already seen Adama Traoré strengthen his claim on the “best dribbler in the world” crown. Take these stats (all from Who Scored): The English, French, and Spanish leagues have all kicked off already, with the former two having played two matches and the latter just one. In all those games, the most successful dribbles any player has pulled off in a single match is six. Traoré, naturally, is one of the seven who’ve accomplished that feat. 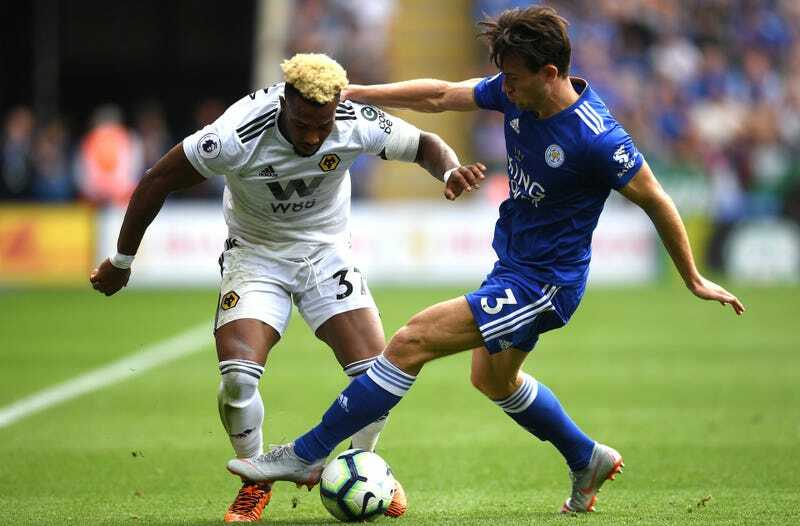 But where it took at least 84 minutes for the other six big dribblers to rack up those stats, Traoré did so in just a 45-minute second-half cameo in a match between his Wolverhampton Wanderers and Leicester City. Traoré’s six dribbles in his one Premier League appearance have him tied for the 11th most total successful dribbles in the big European leagues that have commenced already. All 10 of the players above him—led by Leicester winger Demarai Gray and his 10 dribbles—have played in two matches already this year; only one of the 13 players also with six dribbles have played fewer minutes than Traoré. 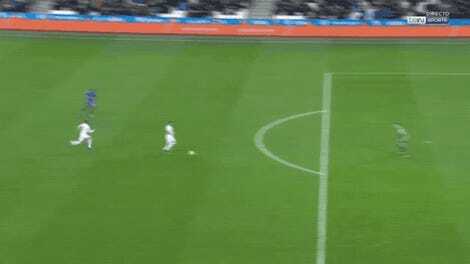 (That man is Eden Hazard, who’s been on the pitch for 43 minutes in between two substitute appearances for Chelsea.) His minute-adjusted stats are even more ridiculous. If you tweak the metric and look at successful dribbles per 90 minutes, of players who’ve gotten at least 30 minutes of playing time, Adama’s numbers rank second best in Europe. His 12.6 dribbles per 90 sit just below Hazard’s 12.9. And he’s done it all with an absurd efficiency, too, only failing to complete one of his dribble attempts. The guy’s strength is unreal. He’s listed at 5-foot-10, is only 22 years old, and already stalks the pitch like Deebo knowing no one can match his physicality and speed. As impressive as that power is his confidence. The way Traoré runs straight into a pack of defenders and bets on himself to make it out the other side, how he takes those huge touches that look like they’re about a yard too long and yet he almost always gets to it before any defender can—it’s a mesmerizing spectacle. Even more impressive for Wolves fans than Traoré’s dribbles were what he did with the ball after taking on his markers. Traoré created a couple great chances with accurate passes and crosses in the match, and it’s further improvement on that side of the game that will most determine how much playing time he’ll get in the short term, and how good he can eventually be in the long term. In fact, the two sides of his game—the world-class dribbling and the hitherto poor-to-mediocre creating and scoring abilities—feed off each other. The more he dribbles, the more playing time he’ll get; the more playing time he gets, the more he’ll need to expand his creative side to ensure he stays out there one the pitch; the more creative he gets, the more he’ll play; the more he plays, the even more insane his rapidly ballooning dribbling statistics will become. As he continues to prove, his dribbling is already as good as anyone could ask. If he keeps getting better at the other stuff, there will be no holding him back.